For over thirty five years, initially as a physician and surgeon and subsequently as an attorney representing injury victims, I have worked to help individuals overcome the physical, emotional and financial devastation inflicted by serious injury. It is a privilege for me to represent seriously injured individuals and their families against insurance companies, corporations, drug companies, doctors, hospitals and individuals seeking to avoid the consequences of negligence. No matter how extensive or advanced the medical treatment, an individual and his or her family is never physically or emotionally the same after trauma alters their lives. Additionally, I am called upon to assist physicians as personal counsel in lawsuits, credentialing, and license issues. It is critical to understand the standards of care of medical practice to determine whether the case was or was not medical malpractice. Just as medical malpractice committed upon a person often cannot be undone, a frivolous medical malpractice case can permanently harm a physician. In individually evaluating and preparing each case entrusted to me, I rely upon both my medical experience and legal skills. While a Board Certified physician and diplomate of the American Board of Surgery for over ten years, I dealt with the standards of medical practice and with the medical consequences of significant injury daily. As an attorney, I have been able to effectively demonstrate the presence or absence of negligence and the true depth of injury in the courtroom. For an attorney with experience, dedication and resources, the legal system provides an avenue of compensation for the totality of injury suffered. Settlements and jury awards must fairly include not only current status and financial need, but must consider long-term prognosis and ongoing financial burden. Licensed to practice Law in the State of New York. Admitted to Federal District Courts in the Western District of New York, Northern District of New York, Eastern District of New York, Southern District of New York, Northern District of Ohio, Eastern District of Michigan, Western District of Michigan, Northern District of Illinois, Southern District of Illinois, United States Court of Appeals for the Second Circuit, United States Court of Appeals for the Third Circuit, United States Bankruptcy Court for the Western District of New York, United States Court of Federal Claims and the United States Supreme Court. 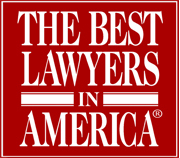 Leagle.com – In re Bard IVC Filters Products Liability Litigation. I have struggled with writing this thank you note because I’ve been unable to put in words the gratitude I feel. It means so much to me that you devoted so much time and energy to help my family. It was a very long and sometimes difficult process, but in the end, it all came as a great relief, as if a heavy burden had been lifted from my back. For 18 years I’ve carried a lot of negative feeling around and blamed many people, and now thanks to your help and dedication we, as a family, can finally move forward and allow the scars we all carry to heal. Thanks to you, my grandchildren have money for their educations from the sacrifice of a grandfather they never met. We are also starting a Scholarship in his memory. I feel truly blessed that you recognized how much we lost and worked so hard for on his behalf. For this I will be forever grateful. I am sorry I haven’t written this to you sooner but I have not been able to think of the words to express my gratitude to you. “Thank You” just doesn’t seem like enough. Over the last five years, you have fought tooth and nail on our behalf. You have put so much time and effort into our case. I never doubted you or that I made the right decision in having you represent us. Thank you for all of your time and hard work. You have made it possible for him to live the best life he can – all in a beautiful new house! Thank you for being so wonderful to me. All of your encouragement and kind words really has meant a lot to me. We are forever grateful for everything you have done for us. I hope we can stay in touch. I promise I will be sending you pictures with updates on his progress. Please share this letter with Mr. Cellino and Mr. Barnes. I want them to know how truly wonderful I think you are, not only professionally but personally as well. 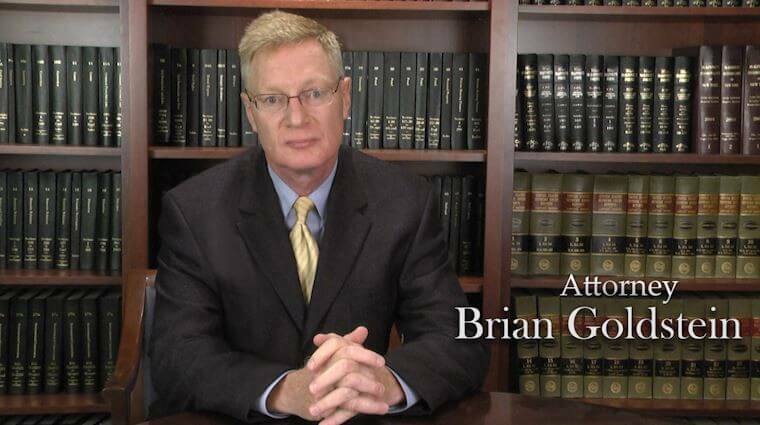 I want to thank your law firm for settling my lawsuit where others failed. You treated me with the utmost respect and care, because of your law firm the dream of owning my own home finally came true. For the first time in a long time, we’re living out our dream home. Thank you a million times over. To every person who worked so hard to get me the most you could for my settlement- Many blessings to you and God bless. We’d like to thank you for all the assistance and time you spent on our case. Your professionalism and honesty will always be appreciated. The staff was always courteous and we were always impressed with your accountability. Your passion and dedication will never be forgotten, nor will you. Thank you so much for everything you have done for us. Your work and kindness in securing our future is appreciated. It was a great pleasure working with you on my lawsuit. You certainly gave 150% of your time and interest in settling my case and for that, I am extremely grateful. I doubt any other lawyers could have managed what you so diligently accomplished. Therefore, I want to thank you very much for helping me win my settlement and wish you the very best. We just wanted to let you know how much we both have appreciated you these years. You have always been so nice and professional and were always so available to let us know what was going on. You helped make a difficult experience a little easier. I know this is a very late “Thank you!” I do want to say how much I appreciate the work you put into my mom’s case. I know you get “thank you’s” a lot but please know this is a thank you that comes from my heart for finding some justice for her death. The money is nothing to me but knowing that I helped change things for future procedures done at that particular hospital. I know that what happened to my mom will not happen to someone else’s mom or dad. She did not die in vain. I miss her continually and nothing will ever help that feeling. I lost so much. Thank you for your patience with my questions and meetings. You helped give me and my family closure. I know I did the right thing. My mom would have been proud of me. I wish you could have known her. Thank you so very much for taking my case! I just can’t thank you enough or truly convey what this means to me and my family. I’ll always remember you as my Christmas angel. God bless you and yours! Just two small words that hold a huge amount of gratitude for your thoughtfulness! I am so glad I was able to meet you I look forward to hearing from you in the future. With a heart full of gratitude and a stomach full of delicious cookies, We THANK YOU! I received my check from your firm in regards to the settlement and I’d like to thank all who worked on this case. Your concern and dedication to this matter paid off for all of us and even though it can’t repair our health issues, it was gratifying to receive something. Again, I thank you for your pursuing this matter for us. We both wanted to take this opportunity to express our sincere appreciation for the way you handled our case and the work you did on our behalf. The general public often times holds a cynical opinion about attorneys, questioning their true motives and concern for their clients. Since meeting you and engaging you in many meetings and phone conversations, we both feel that you exemplify the absolute best in all aspects of what an attorney should be. There was not a time that you did not show the utmost in professional courtesy. You were always available to take your calls and always took the time to carefully explain our options, provide thoughtful recommendations and insights to whatever problems were at hand. Given all your help and knowledge, we were even more impressed with your sincere concern about the welfare of our family and the progress of her recovery. You were more than an attorney doing a job but a new friend helping us in a time of difficulty. We wish you and your family health and happiness and will certainly pass your name along to others who may need your services. Thank you for all your time, effort, thought, and kindness. Please tell your family “thank you” from us as well. You spent many ‘family hours’ on our case. Thank you! Thank you! Thank you! What more can we say!? You’re the best. Oh, did I mention how grateful I am? I received mail from your office last week, including a check. Honestly, I was surprised at the amount. I did not expect I could get that much! Of course, we wish my husband could’ve recovered but he didn’t and that money will definitely help my son’s future. I think of the (check) as a gift to us from my late husband. Thank you for everything; and taking care of me and my family. I appreciate all of the support from Cellino & Barnes. Thank you so much for settling my lawsuit regarding my hip replacement. I am pleased by my settlement. The revision surgery on my right side really took its toll on me. Your law firm was very professional and helpful. I appreciate all that was done in my case. Thank you for your efforts regarding my case and also the guidance regarding the settlement procedure relative to my particular circumstances. I certainly am grateful for your service. Thank you for all you did on my behalf. I just wanted to say thank you for everything you’ve done and continue to do for my mother –Throughout this journey it was difficult to find people that would actually take the time to listen to her and see her as a person rather than just a statistic. You gave my mom hope and not for a cure but that her story was worth telling and one that would one day be acknowledged and heard. You treated my mom with kindness and respect and those simple things meant so much to her and myself as well. Thank you for taking the time to come pay your respects – it says a lot about your character and it is a privilege to have you represent my mother. Thank you: I am very grateful for the help in this matter! I would like to thank your firm for representing our family on behalf of my late husband. This whole process was, at times, difficult for us and sometimes painful. But, we were always in good hands as Brian and Maria are two of the hardest working and sincerest people I have ever had the pleasure of meeting. We would like to thank you & tell you how much we really appreciated everything you did for us. We thank you for all your hard work!